Discover the best ski runs in Garmisch-Partenkirchen and Grainau. 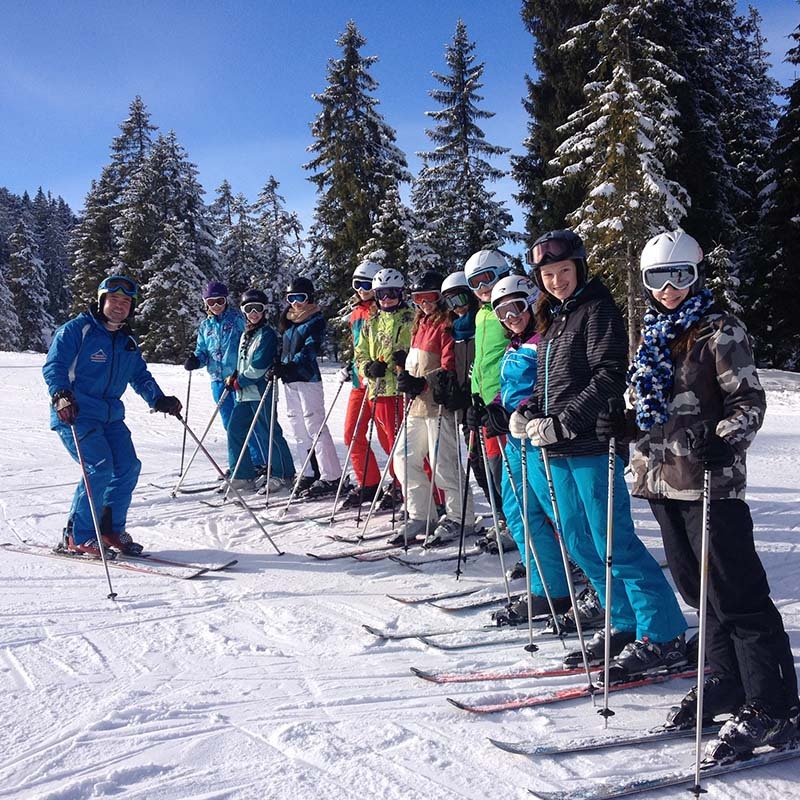 It doesn’t matter if you are a beginner or an expert, if you ski on-piste or if you prefer deep snow – in our school you will be taught by our qualified teachers and your ski holiday will become a great experience! 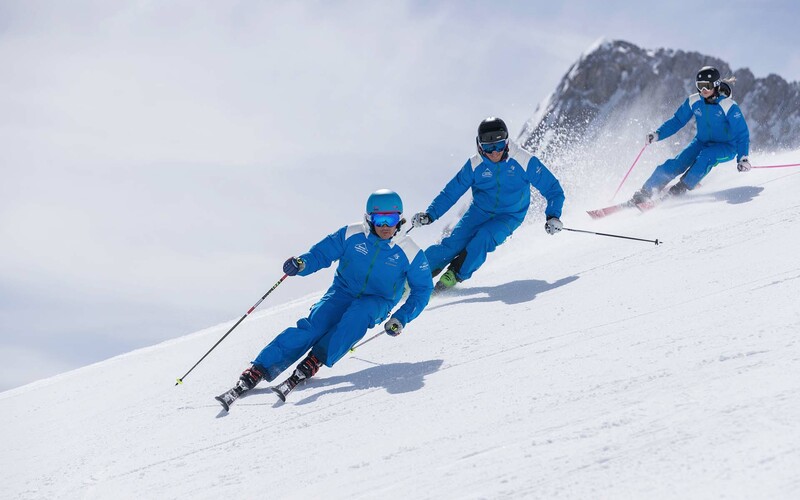 With our newest equipment and the correct advice even the world cup runs in Garmisch will become a pleasure. For adults and children, for snowboarders and skiers. Our private teachers will help you get your personal best, quickly and easily. 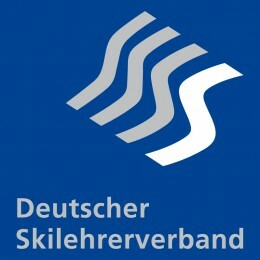 It doesn`t matter if you are a beginner or an expert, we will guarantee you high quality lessons. You can book a private teacher alone, with friends or with the family. For many of our returning guests our private teachers become very good friends. 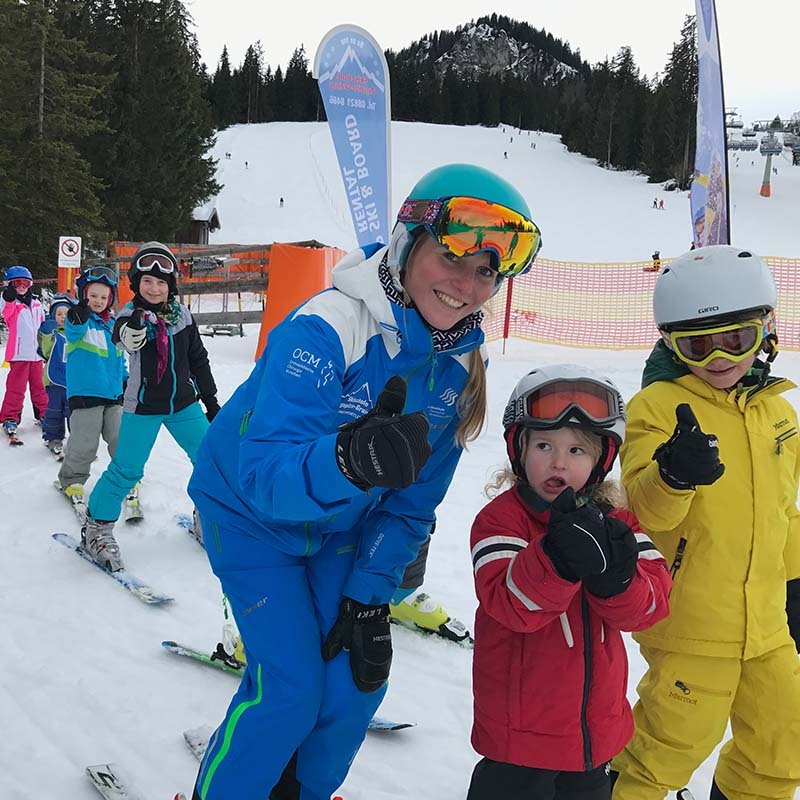 Our childrens skiinstructors/-tresses have a special training so that your children learn this fun sport easily and safely. Over 30 years of experience says it all. This is a special programme developed by the famous skiracer Felix Neureuther. Sports help to improve your mental state and intellegence. This programme is designed to do exactley that. For more infos contact our office. 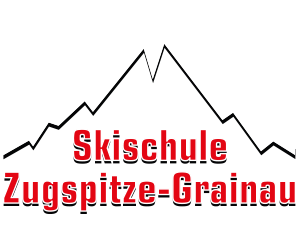 Our skischool was awarded for “excellent ski instruction for children and juniors”, from the German Skiinstructors Federation. Come by with your kids and test it. Weekly ski race with cups, medals and certificate. We offer special “Kinderlandcards” for beginners! Easy introduction for skiers who want to start again. This program is designed for skiers with hip and knee problems. We show you how skiing can be fun again without pain. Intensive and individual training for all who want to get even better. 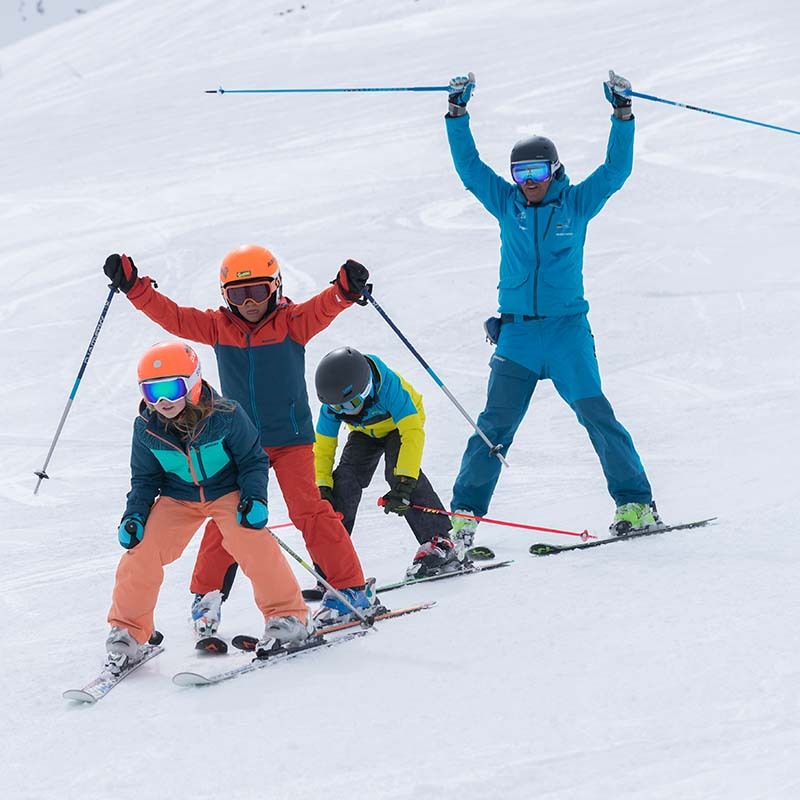 Discover a better skiing feeling. Do something for your health and fitness. We will show you the most beautiful tracks in Werdenfelser Land. Enjoy the winter wonderland and relax your mind! 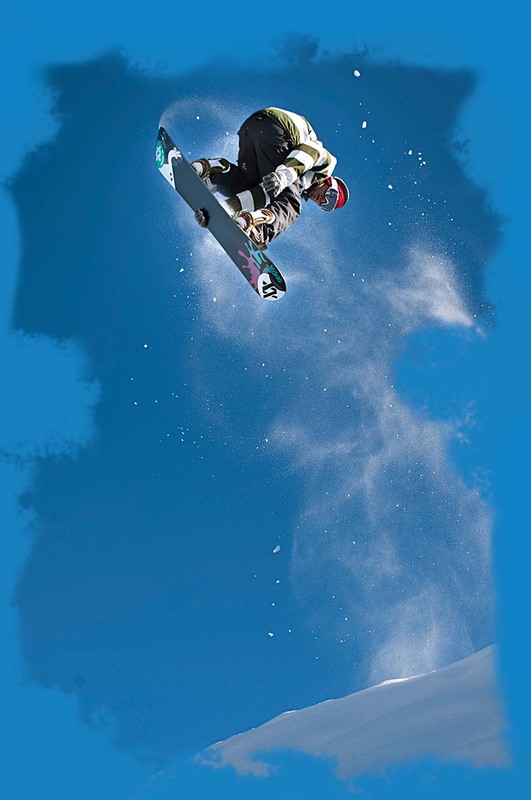 With our qualified snowboard teachers and the right equipment you can enjoy the feeling within a few days. Who says skiing is out? That`s snow from yesterday. Young, cool guys are discovering the fun parks. 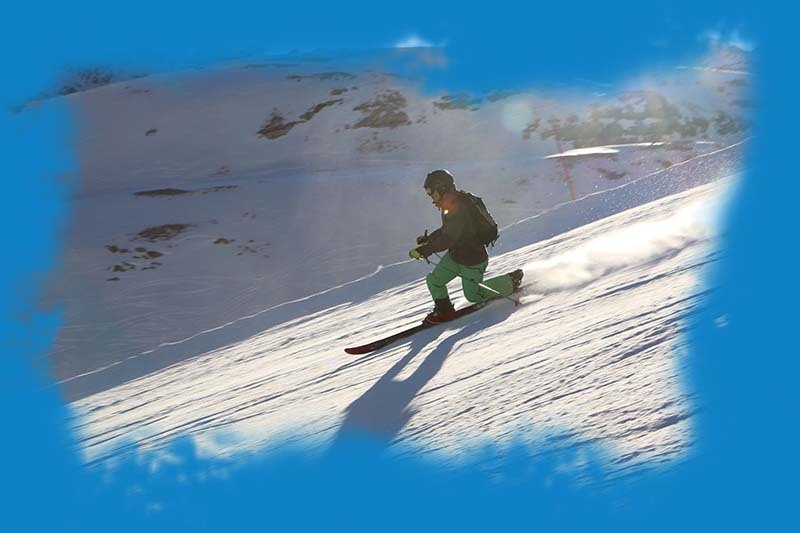 Naturally you can make the first steps in the easy Fun Park with normal alpin skis. 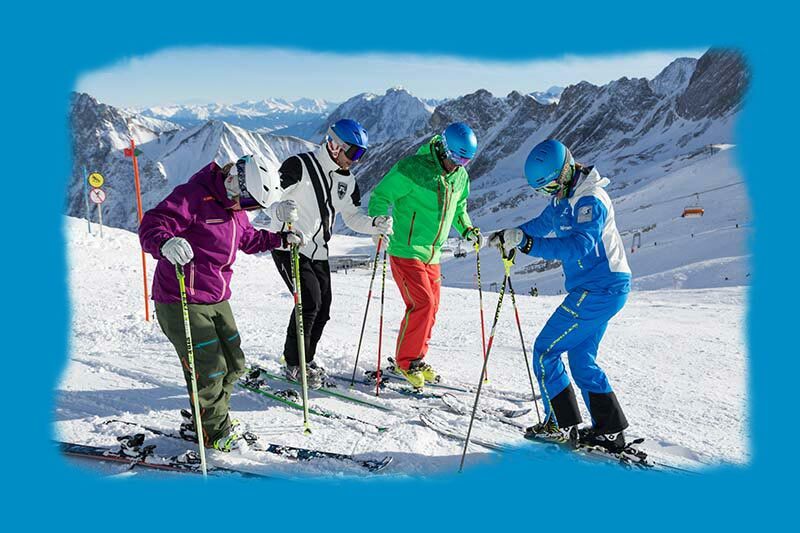 Our skiinstructors will help you! With years of experience we organize events in the snow. We definatley will find the right event for your guests. 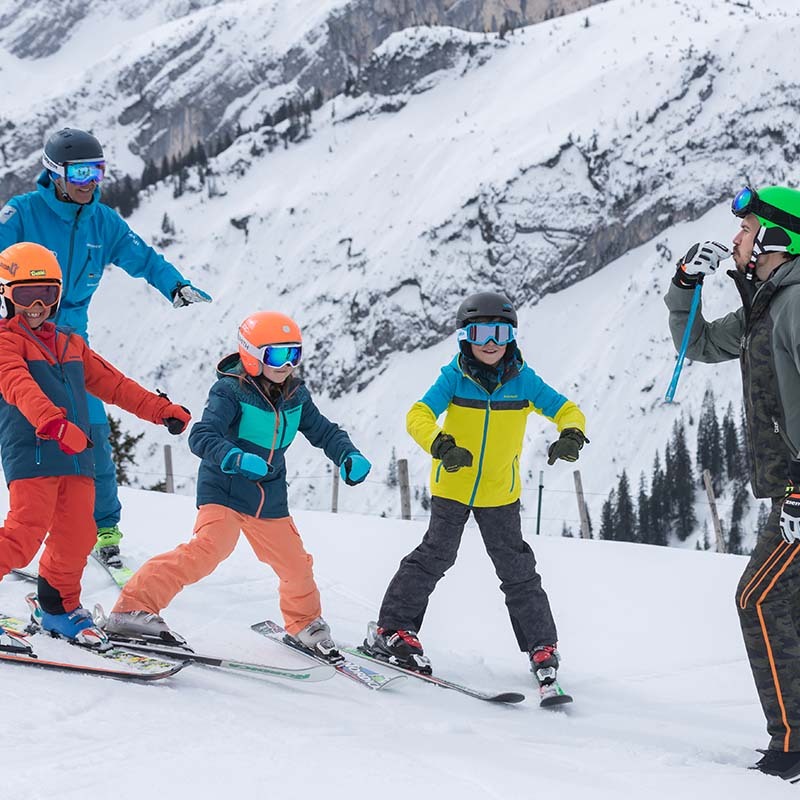 We are in this business for over 30 years and we realize how difficult it is to find the correct skischool and ski area for your school. We have specialized in this branch and we are ready for you and your school. We make it easy for you, just call or mail us. We will take care of the rest.